Therapeutic claims based on documented evidence. 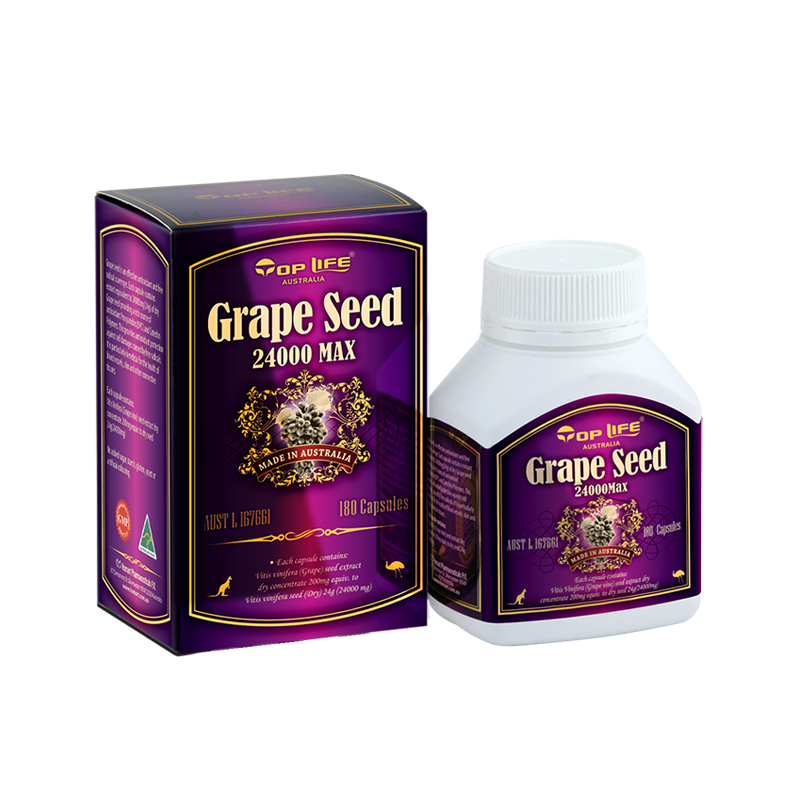 Contains vitis vinifera (Grape Vine) seed extract dry concentrate 200mg equiv to dry seed 24g (24000mg). Take 2 capsules daily, or as directed by your healthcare professional.